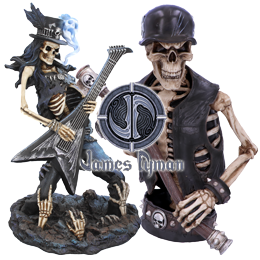 Exclusively to Nemesis Now, this coin Purse comes from the wild untamed imagination of the world-famous Fantasy artist James Ryman. Standing in a secluded garden, hidden by foliage and framed by flowers, this Fairy is barefoot and wears a long white dress with a flower crown. Their chestnut hair falls over their shoulders, and from their back their orange and black butterfly wings are relaxed. They’re hugging a black cat lovingly, which in turn nuzzles them as it curls its tail around them. Behind them, Fairy lights sparkle amongst the bushes. This stylish and durable Purse is held firmly shut with a metal clasp, ensuring the contents are kept secure. Perfect for those who value both enchantment and security.